According to the Vedic astrology, the position of all nine planets in the horoscope of a person holds the paramount importance. The life of a living creature is immensely affected by the placement of these planets in their horoscope. Fortunately, if all of they have been well-settled in the horoscope or birth chart of an individual will enable him/her to achieve great heights in their life both physically and mentally. Despite this, unfortunately, if these planets set in the wrong or malicious houses will lead a person to suffer severe afflictions at all levels of his/her existence. Planetary afflictions affect extremely at both levels: physically as well as mentally. Thus, planetary afflictions at physical level let an individual confront with severe diseases discourages physical strength additionally embed confusion, worries, negative thoughts in the mind at mental front. 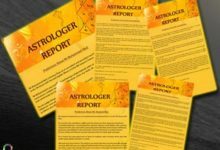 Thus, in order to control the planetary afflictions, astrologers suggest some effective remedial measures to abate the malicious results being offered by maliciously portioned planets. Hence, in order to accomplish this goal, they use gemstones, yantras, herbs, mantras (recitation of specific mantras), scent, some other actions. However, from all these above-mentioned measures to control the ill-planets effect, gemstones possess paramount importance. Gemstones are acknowledged to be an effective weapon to ward-off against planetary affliction. Apparently, for each planet, there is a different gemstone which is suggested to be used by astrologers. Each gemstone contains an enchanting healing property which penetrates in-depth to exhaustively analysis an individual at both physically and mentally. Usually, there are nine planets and each planet is affiliated with different gemstones and possesses unique healing properties to perform remedies astrologically. As we know the Sun is revered to be the only “source of energy” in our solar system. Thus, it does affect the life of an individual either in a positive or negative manner according to its placement in the birth chart. Sun in core symbolizes the confidence, communication skills, blood circulation, eyesight, and heart. However, the sun settled in malicious houses signifies weak eyesight, lack of confidence, ego problem, lack of identity and financial adversities. Depletion of the sun occurs categorically if it exists in 6th, 8th or 12th house. Ruby is the gemstone which can be worn categorically for depleted Sun. Wearing this auspicious gemstone strengthens the position of the Sun in the birth chart of an individual and abate the malicious effects of the Sun. Consequently, to reduce the malicious effects of the sun and to seek the benefits of wearing this stone wear ruby gemstone. In order to achieve effective results, the ruby stone should be started in the gold ring and stone should ideally weigh around 2 carats. The Sunday is considered as the best day to subscribe this gemstone. The moon manages the body fluid, mind and overall emotional of a human being. Thus, it holds a key position in the life of an individual because it controls the mental activities. When the moon is malicious it an individual suffers from depression, uncertainty, anger, calmness, kidney problem, weight problems, and lung problems. 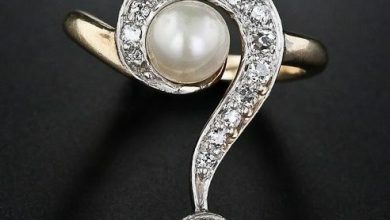 Pearl Gemstone revered the “stone of moon”. Thus, wearing this stone will dispel the negative energies away from the body and penetrates the mind with its effective healing energy and filter out all the negativity caused due to the afflicted moon. 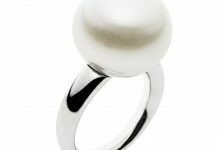 To secure all positive results being offered by Pearl Gemstone. A person must wear this stone with silver rings on Monday morning. 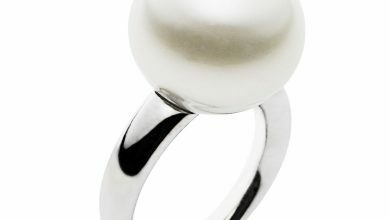 The ideal weight of the pearl ring should be 2 carats. Mars rules over vital energy, physical energy, and motivation in life. It is an extremely powerful planet exists in the solar system. In addition to this, it largely impacts the life of an individual as per its placement in the birth chart of a human being. Supposedly, if this planet positions at inaccurate houses, will draw physical weakness, sexual deficiency, anger, blood-related diseases and possibilities of accidents. Nonetheless, in order to eradicate these ill-effects caused due to malefic mars, an individual is advised to wear a Mars ruled red coral gemstone. Coral gemstone is proportionally being used to retaliate on malicious mars. Besides this dispelling the ill-effects of Mars, this stone enforces the position of Mars in the horoscope of a person and enable him/her to enjoy the benefits being offered by this gemstone. 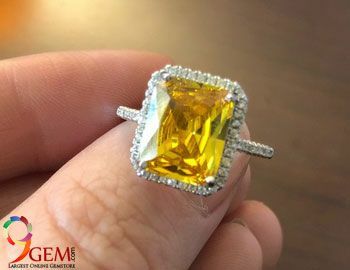 For best possible results; this gemstone should be worn on the index finger of the right hand with stones embedded in either gold or diamond ring on an auspicious day Tuesday. Governs the most important organ in the human body, brain, intellectual and induces the power of decision and discrimination. Unfortunately, if mercury is weak, so it creates a worse impact on the brain, nervous disorder, allergies, lack of communication and coordination problem. Emerald is considered to be the gemstone of planet Mercury. Wearing this gemstone abates the malicious impacts created due to weak mercury. Thus, wearing emerald gemstone nullifies the ill-effects of mercury as well as reinforces the current position of mercury in the birth-chart or horoscope of a person. In order to secure all these benefits, a person should wear this emerald gemstone on Wednesday morning when the moon is waxing. 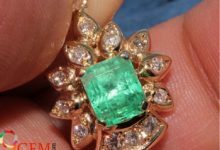 The ring in which emerald stone is studded should be of gold and the emerald stone should be at least weighs 1/2 carat. This is referred to be the teacher of all planets. This gemstone is idolized as a planet of fortune, hope, luck, higher intellectual, and well-being. However, afflicted Jupiter introduces obstructions in the life of a human being, a weak Jupiter will be solely responsible for ill-health, financial problem, luck, deplete the immune system. Yellow Sapphire is revealed to be an ideal gemstone for this planet. The planet with its enchanting vibrations soaks all the negativity from an aura of an individual. 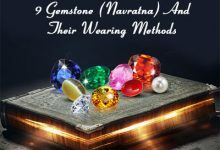 Moreover, this auspicious gemstone strengthens the position of Jupiter in the birth-chart of a human being and opens the door of wealth and luck for him/her. 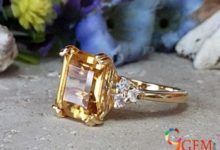 Apparently, yellow sapphire is to be worn on Thursday morning in the index or ring finger for best results. Venus is an important planet available in solar panel. These planets chiefly assist the creativity, love, sensuality, feminine forces in human beings. Moreover, it settles in the positive houses will majorly responsible to invoke creativity, love, feminine forces, reproductive. On the other hand, if unfortunately settles in negative houses will invoke the problem of love, life, creativity, sexual problems , nd reproductive problems. Diamond is acknowledged to be the gemstone of Venus planet. The auspicious planet is entitled to resolve all the issues created due to weak Venus in the birth chart. Hence, diamond strengthens the position of Venus in the horoscope of a person and aid in resolving all the issues which have been created due to weak Venus. Ideally, the weight if a diamond ring should be around 1 carat and it should be worn on Friday morning to secure all the advantages. It is symbolized to be the most controversial planet among all the available planets. Saturn signifies fortune, wealth, disciple, logic, patience. Unfortunately, when it is settled in the malefic houses in the birth chart of a person encourages bad luck, pessimistic thinking and lack of patience, endurance, and severe health issues. In accordance to nullify or pacify all the malefic issues being created in the life of a human being by malicious Saturn. A person is suggested to wear blue sapphire gemstone. Wearing this stone aid a person to ward-off against all the malefic events created by afflicted Saturn. Usually, the blue sapphire gemstone is adopted in the middle finger of the right hand with either gold or silver ring on Saturday. 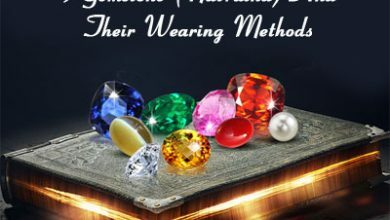 However, a person should wear this gemstone only after inquiring an astrologer that whether it will suit him/her or not. In case if Saturn is positioned at the malefic house, it is not advised to wear this gemstone. Rahu rules over mind and all kinds of desires and illusions. It creates severe mental problems such as nervous breakdown, mental diseases; insert negative thinking in the mind of a person. Moreover, it is also chiefly responsible for certain contagious diseases. In response to mitigate the ill-effects of spiteful Rahu, a person should adopt hessonite stone. In order to perceive the benefits of hessonite gemstone; the ideal weight of the hessonite stone must be around 3 carats and it should be fixed in the gold ring on Saturday or Wednesday during the waxing moon. Ketu planet signifies the discrimination and creativity of all individuals. Unfortunately, if it is positioned at negative houses may bring unpleasant results for its wearer. It encourages doubt and lack of insight and bad luck in the life of a human being. To mitigate the ill-effects caused by afflicted Ketu; a person must wear a cat’s eye gemstone. The powerful gemstone abates the malicious Ketu in the horoscope of a person. Thus, it enables a person to enjoy all the benefits being offered by the planet Ketu. The cat’s eye gemstone can be worn with the gold ring on the right-hand index finger on Wednesday morning during the waxing moon. So, these are the list of all gemstones which can be used as remedial measures to ward-off against planetary afflictions. However, it is advised to seek the advice of an expert astrologer before wearing gemstones as remedial measures for planetary afflictions. 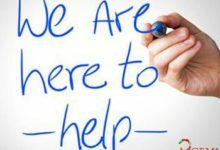 Various problem in my career.Service or Business. Please consult with expert astrologer for gem recommendations and other astrology consultation services. Gem recommendation is done on the basis of the birth-chart readings. We are providing gem recommendation services with the help of third party astrologers but services are paid. Please contact at support@9gem.com for more details about the charges and astrologers. I was born in 28th August 1975 at Kalyani,Westbengal. India.My exact gemstone? Please consult at support@9gem.com. Gem recommendation services are paid. You can also consult with your astrologer for the recommendations. We are providing high quality gemstones for astrological purposes. Please let us know about your gem requirements. Pingback: Astrology According To Date Of Birth – Valuable Insight Into Your Future! my date of birh is 15-11-1982 Agartala,tripura,India. at 2:10 pm. i m wearing a 10 ratti ruby in my righthand ring finger. i also have a 4.5 ratti emerald..can i wear it in little finger of right hand? i am very upset with my studies and career..as nothing good is happening in my study and career. First you need to consult with expert astrologer before wearing any stone. Please check your birth-chart with astrologer for the readings and gem recommendations. What is the price (approx) of 4carat Cats eye? Generally Standard Grade Cats Eye will cost you around 12500 to 15000 INR. 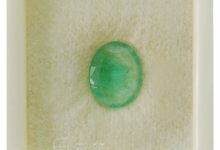 Please check the link for more details about the cats eye stone http://www.9gem.com/natural-cats-eye-lehsunia-gemstone.html. Should i wear Pukhraj or Sunehla stone ? Please consult with expert astrologer before wearing any stone. You can also contact us for the same. Gem recommendation services are paid and done by certified astrologers. Please contact us at support@9gem.com and ask your query to our experts. Please contact us at support@9gem.com and ask your query to our experts. place= jamshedpur……..i want to know that , which gem is best for me ..and what is the ideal weight of that gem………. We can only help you in stone selection. For astrology queries, you need to consult with local astrologer. Astrology services are paid and done with the third party astrologer. your answer : Please consult with astrologer for astrological questions…We can only help you in stone selection as per your requirements. Please try to understand the difference. I just gave him the idea of how much carats he can wear if someone suggested him to wear pukhraj (yellow sapphire). You can wear pukhraj stone between 3 to 7 carats depends upon the body weight. Generally it is advised to wear around 5 carats stone. hello sir this is Chetan & i want to know which gemstone i will have to wear. 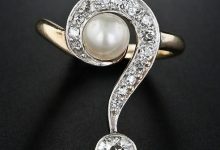 i am so confused in my life, i have no aim always surrounded by girls, not control on my emmotions please suggest me the best combination s of gemstones. here are my details. Thanks for writing to use. As you know we are Gemologists and will not be able to provide you any suggestion based on the astrology. For this you need to consult with the expert astrologer who will provide you the right solution after studying your birth chart. We are not directly dealing with astrological queries, but we are associated with some of the best astrologers for the similar queries from our customer worldwide. So astrologer charge some amount for the services. Please let us know if you need astrological services from our end so that we can arrange astrologer for your query. Both are different and considered as semi precious gems with very less astrological benefits. Sir which gemstone is suitable for me ? is Tanzanite and Orange sapphire are suitable for me or not? Please consult with astrologer for astrological questions…We can only help you in stone selection as per your requirements. Is neelam a recommeded gem stone for me. Neelam is considered as the birthstone for September month. As you are born in November you can wear Topaz or Citrine stone. For more details please consult with astrologer if you are looking for an astrological solution.